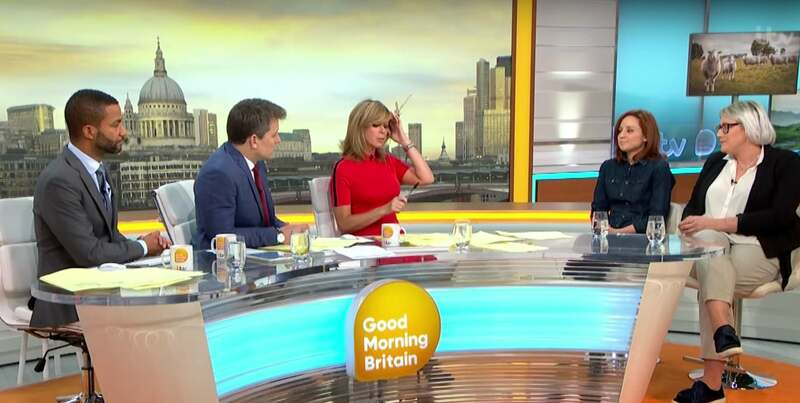 A local politician has appeared on UK television program Good Morning Britain criticizing the carbon footprint of vegan diets. Laura Miller is a district councilor for Wool in Dorset. She appeared on the show alongside PETA Director Elisa Allen to discuss a recent PETA suggestion that her town - Wool - changes its name to Vegan Wool, in a bid to bring attention to animal cruelty in the wool industry. During the segment, Miller veered off the topic to wool, to highlight issues she believes are a factor with a vegan diet. "I actually used to be vegan," said Miller. "I eat very little meat now, but what I do eat, I can tell you how many miles it's come. I can probably tell you the field it came from. As a community, we're really aware of those issues." Talking about PETA's suggestion to rename the village, she added: "There are quite a few residents who might not want to align themselves with some of PETA's previous record with rehoming animals and things like that. So while we're supportive of sustainable, cruelty-free farming...it's more an issue of sustainability. "A vegan diet...I've been vegan...is predominantly based around soy that flies thousands of air miles, so there are sustainability issues, carbon footprint issues." Miller's critique of the sustainability of vegan diets flies in the face of recent Oxford University research, which claims that opting for a plant-based diet is the biggest step an individual can take in reducing their environmental impact on the planet. "A vegan diet is probably the single biggest way to reduce your impact on planet Earth, not just greenhouse gases, but global acidification, eutrophication, land use and water use," Joseph Poore, at the University of Oxford, UK, who led the research told The Guardian. "It is far bigger than cutting down on your flights or buying an electric car [which only cut greenhouse gas emissions]. "Agriculture is a sector that spans all the multitude of environmental problems. Really it is animal products that are responsible for so much of this. Avoiding consumption of animal products delivers far better environmental benefits than trying to purchase sustainable meat and dairy."